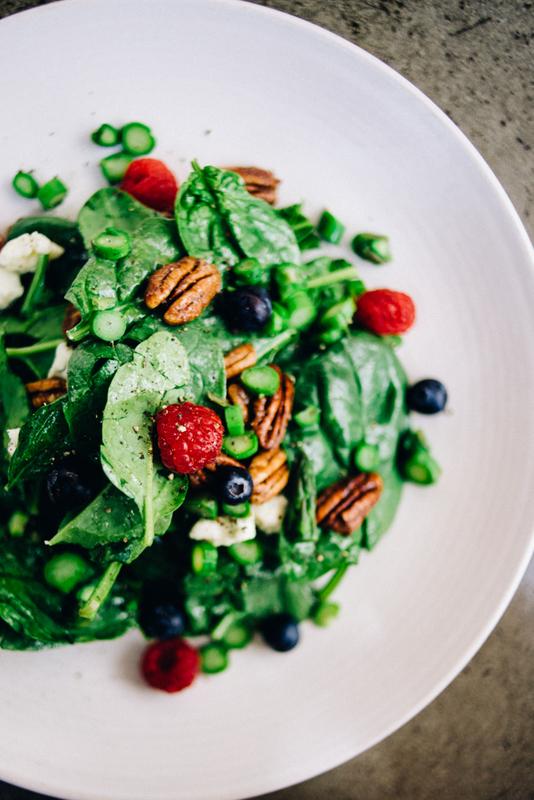 Seasonal Berry Salad Recipe - and WELCOME BACK! WELCOME BACK!!!! It feels so great to be back on the blog posting after what seems like an eternity!! I hope everyone had an amazing summer and is enjoying the beginnings of fall everywhere else in the country but here in PS where it is still SO hot! I've been traveling a bunch during our break, working and visiting friends and family back East and it sure feels good to be back home after 54 days on the road, which were utterly amazing and equally as exhausting. Rinse and dry all fruit and vegetables. Mix all ingredients in a salad bowl. Toss evenly with dressing and feta.